Getting to know Michael Chaconas. 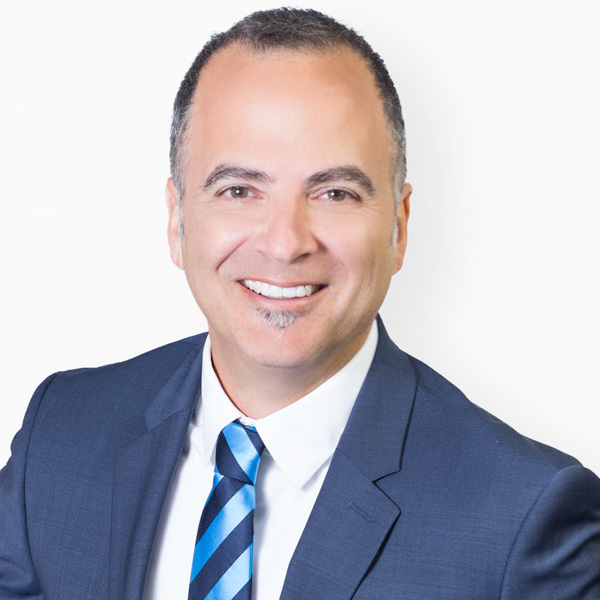 Michael Chaconas started his Real Estate career by holding a measuring tape for his father Peter who was an appraiser in 1988. In short time he was able to run the business and acquire not only new lender accounts but also form joint ventures to be the in house appraisal outfit for major builders in Southern California. With his ability to adapt emerging technologies Michael was hired to work for Michael Dell and Dell Computers in Europe in 1997. He ran their Enterprise Notebook Sales and Marketing in Northern Europe and helped launch the Northern European Call enter in Copenhagen, Denmark. Upon returning to the States in 2003 he returned to the family Real Estate Appraisal business and enabled it to survive the 2008 crisis by acquiring the one client possible to do so at that time. Fannie Mae's Property Disposition program needed Michael's skill to set value on abandoned and foreclosed property throughout all of Southern California to sell for the highest amount of possible in the shortest amount of time, in order to repay the American taxpayer. It was also at that time that Michael started working for a Real Estate investment firm focused on the Memphis, Tennessee market. Michael was able to help many investors from around the country find a safer place to put their money then to leave it in the stock market at that time. Today Michael has much of the same enthusiasm and excitement he had when he first started working for Dell Computers and helping buyers of investment properties from around the country. That excitement is because of the company he's working for at Harcourts. Michael knows the customer experience and thrives on assisting sellers and buyers in San Diego County achieve their goals in the shortest amount of time. As first time home buyers, we were so thankful to have worked with Michael Chaconas! He walked us through the process from beginning to end. He listened and understood what we were looking for in a home, neighborhood and community. This guy really knows all of North County like the back of his hand, which made our search that much easier. Through out our experience, he stayed on top of the process to ensure ALL parties were working to our expectations. We couldn't be happier with our new home! Thank you Mike! I must say that working with Michael was very easy and a pleasure. We had a tough time finding and affordable home in Carlsbad that would fit our large family's needs. Michael was very knowledgeable of Carlsbad which we mandated as the only area we would consider in order to keep our three boys within the school district. I admired Michael's patience, persistence and passion to deliver all of our expectations despite the narrow options. In the end, Michael came through with his decisive action to win the bid on our perfect find and I have to say we can't be happier with our new home! I highly recommend Michael to trust in tirelessly working to find your perfect home. As an international resident of the US, I started the search for our new home with little knowledge about the US real estate market. Learning the process of purchasing a property in the US was a daunting task which was very complicated for someone new to the system. That was of course, until I met Michael. Michael is an knowledgeable professional with much insight into North County neighborhoods. Something only 20 plus years of experience will bring you. He answered every one of my concerns by leading us through the purchase of our home. In doing so, he brought confidence and assurance to the process. He was easy and fun to work with and he saved us $25,000 off the list price of our home in Carlsbad. We are so glad to have him as our Real Estate Expert and recommend him completely. Michael has helped us to find home in 10 days, and $15,000 under its last asking price. I can't recall a case when he hadn't responded to a call or message within 30 minutes, usually instantly. Michael made the process really smooth walking us through the steps. Michael helped us locate a home in Discovery Hills, and showed us various properties. He was extremely knowledgeable of the area, the process, and what homes in the area are worth, including future potential. There is truly not a more caring real estate pro! Michael was awesome. He worked with us through our ups and downs not to mention our indecisiveness and eventually found us the perfect home. He listens to all of your requests and makes sure not to waste your time by taking you to homes that don't have what you are looking for. He is extremely responsive and makes you feel like family. I WOULD HIGHLY RECOMMEND HIM! Definitely try Michael for your real estate needs! We loved working with him -- great attitude, knowledge and expertise. He showed us homes in Carlsbad and helped digest current trends when figuring out a valuation. He was thorough and customer service comes easy to him. A pleasure to work with.